The greatest presentation of the Big Book ever. Now you can take it with you wherever you go...in the Car, Jogging, Working Out, or just laying in bed on a lazy Sunday afternoon. 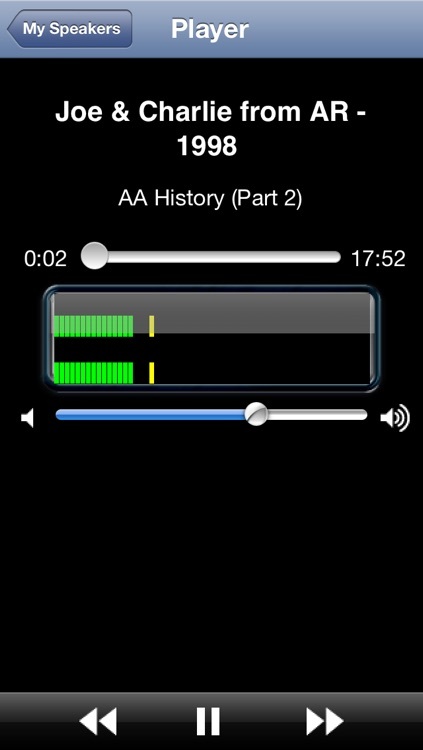 Over 6 hours of entertaining study of the Big Book of Alcoholics Anonymous. Joe McQ. 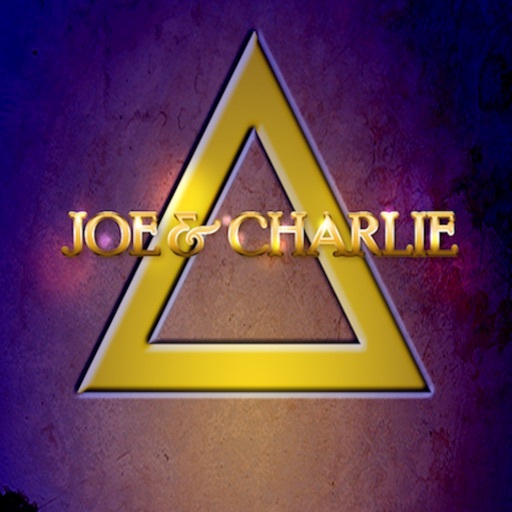 & Charlie P. met in 1973 when Joe introduced Charlie as the AA speaker at an Al-Anon Convention. 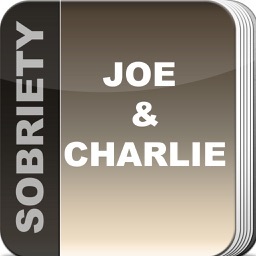 Joe had wondered if Charlie might be the country-western singer Charlie Pride. "He wasn't even the right color," Joe laments. 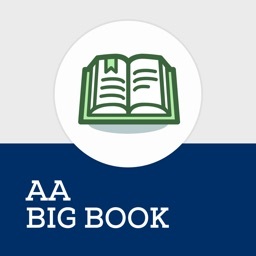 They instantly discovered their mutual fascination with AA's basic text "The Big Book". What interested them most was that The Big Book was written in a particular sequence to convey certain ideas. That interest began a close friendship which has lasted to this day. 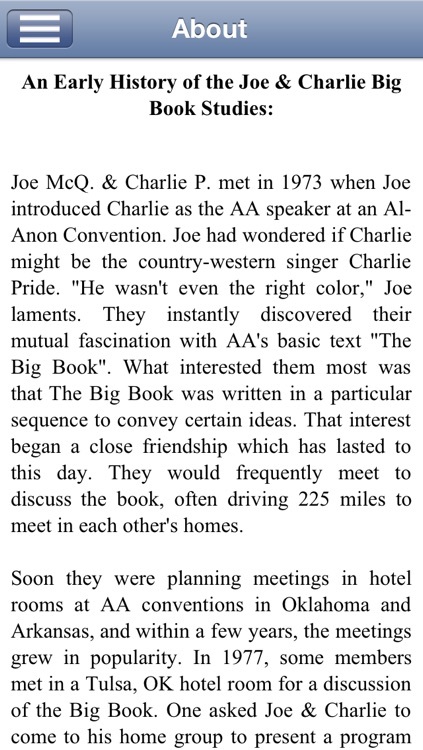 They would frequently meet to discuss the book, often driving 225 miles to meet in each other's homes. 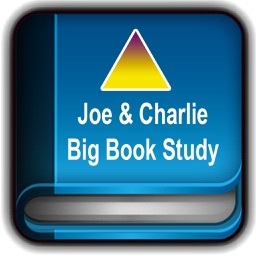 throughout the fellowship and invitations were received for Joe & Charlie to present the study at AA conventions, roundups and special events. 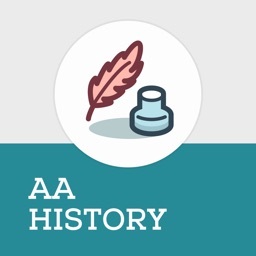 By 1980, there had been about eight studies offered. The CDs for this Big Book study generally sell for over $30. 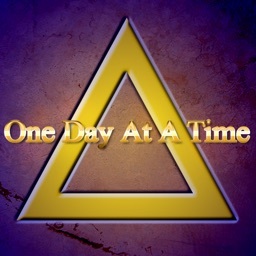 Now you can get them on you iPhone, iTouch, or iPad for a lot less. 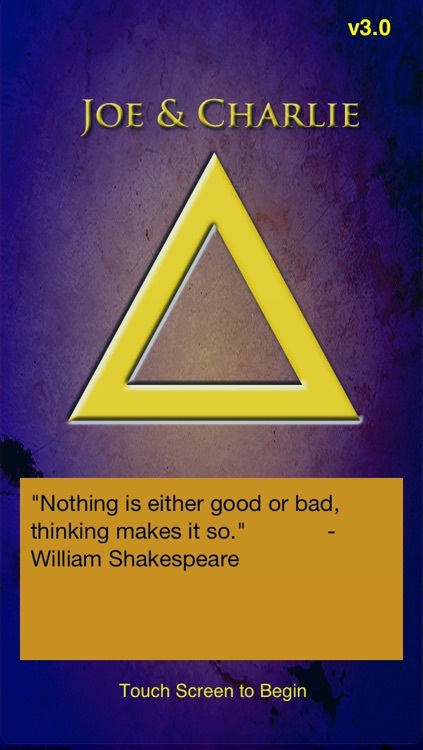 The Software herein is Copyright of Calidad Systems. 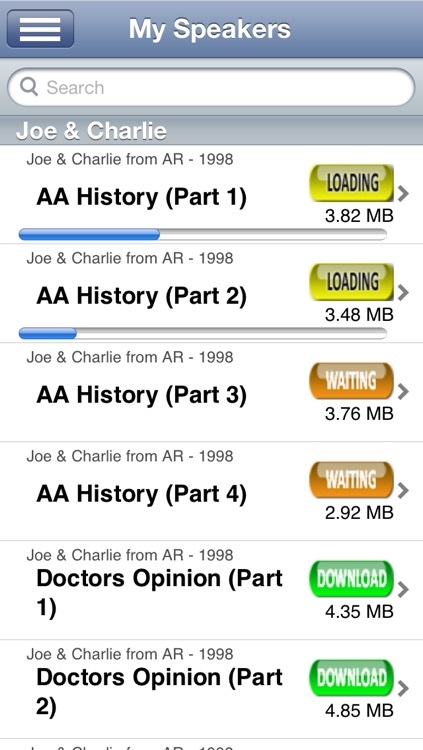 The Joe and Charlie tapes are public domain.